Out Of Print! 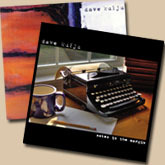 Both "Frames Of Mind" & "Standard Deviation" are now Out Of Print in CD format. 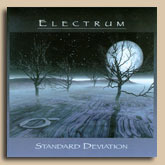 Electrum's catalog is available through digital delivery. Dave relased his second disc Notes in the Margin a few years ago. This CD as well as his debut release Abstract Expression are likely to appeal to prog heads. 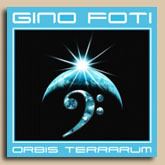 Gino has released several instrumental jazz/world fusion CDs. His music explores the relationships between diverse musical traditions, and the dichotomy of rhythm and melody of the bass guitar, by integrating ethnic sonorities into his jazz-rock palette. We are offering a special on Gino's first 6 releases for only $29.95 which includes shipping via USPS Media Mail within the USA.